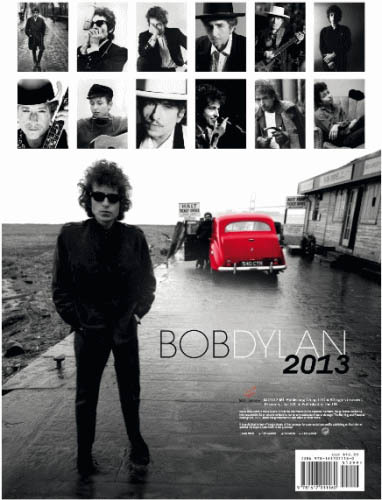 front back BOB DYLAN 2013: 12 pictures, one for each month: "Fantastic images of the Folk Music Legend." 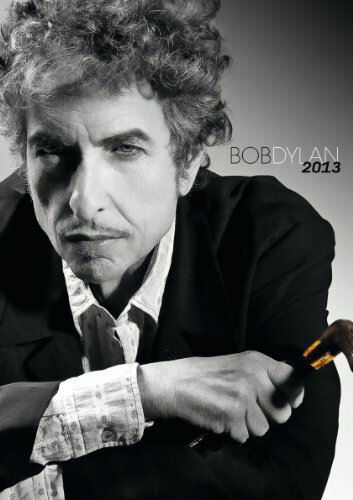 Handmade 2013 wall calendar, using the original front and back album cover from "Another Side Of Bob Dylan". Thick, 110lb card stock paper is used for each of the 12 monthly pages. 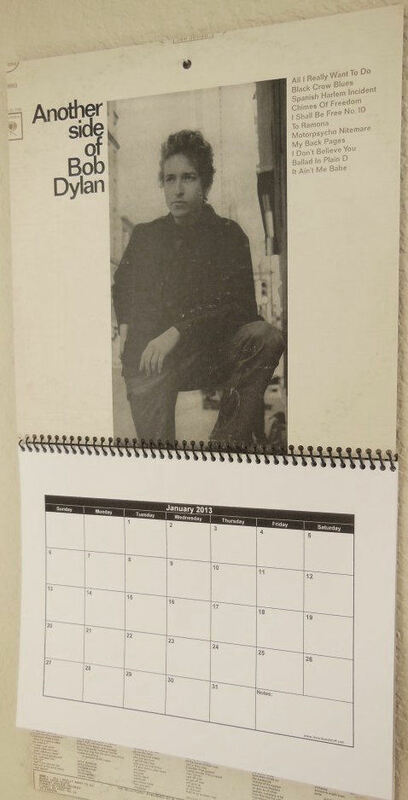 The overall size of the calendar is 11" x 22", while each monthly page is 8-1/2" x 11". 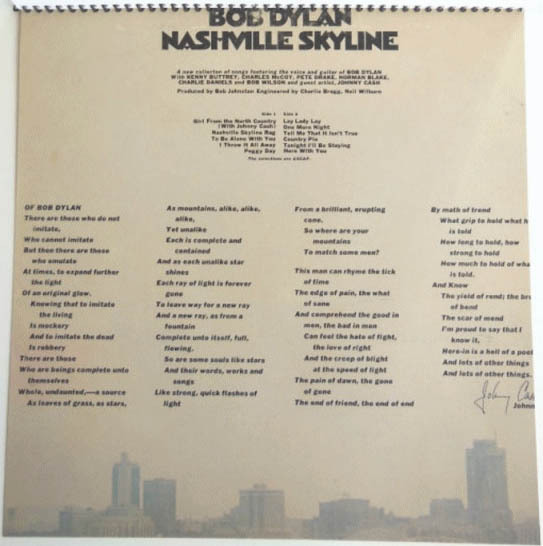 front back Handmade 2013 wall calendar, using the original front and back album cover from "Nashville Skyline". Thick, 110lb card stock paper is used for each of the 12 monthly pages. 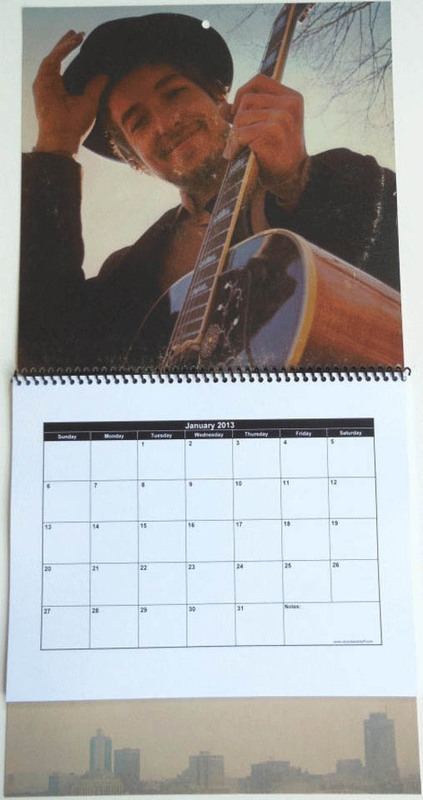 The overall size of the calendar is 11" x 22", while each monthly page is 8-1/2" x 11".